I think it was a note in The Pulse of Inworldz-group that made me visit Artful Designs a shop with sassy and mostly casual outfits. This GTA V outfit is the current groupgift. Though all but one displayed outfits are for women, this groupgift is available for men also. The groupcharter of Artful Designs says "We put our heart in"... and it shows. The outfit is completed with these mesh high tops. A perfect fit. Both shoes had the same point of attachment. The points of attachment are left and right hand so just change it to the other hand. These fingernails I did find @ Avene Beaute Creations, a shop for skins and texture templates. The nails come in textures only and this is how you make the nails. These are like a tattoo/ glove layer, not mesh nails. - Add or wear the "New Tattoo"
To prevent your skull from shining through your hair use a hairbase as shown in the picture. 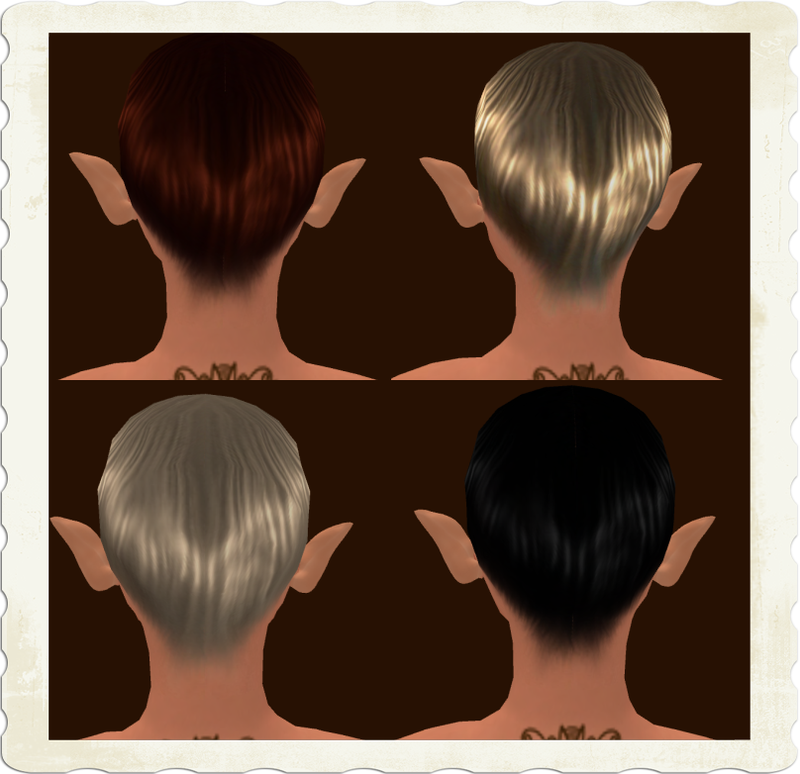 EMO-tions has a package of 8 different colored hairbases for free.